With the captivating views and the exciting activities in Tahoe, it is no surprise that more people are looking into buying luxury homes for sale Incline Village NV. It was also reported that there has been an increase in home sales in the Tahoe area since more people consider not only the architectural aspect of the home, but also its location and the lifestyle that the latter offers. Among the 19 properties that went into escrow on one weekend during the end of February, five homes are located by the mesmerizing waters of Lake Tahoe. A lot of people believe that one of the reasons for this spike in real estate deals regarding Incline Village homes for sale in Nevada is because new homeowners want to have easy access to ski resorts. Below are some of the reasons why more people are greatly encouraged to stay in Tahoe. For those who love the snow and have a heart for skiing or snowboarding, it would be a delight to know that Squaw Valley Ski Resort was picked by Outside Magazine as the Spring Skiing Capital of America. Spring skiing talks about the condition of the snow and does not refer to a specific season of the year. It is all about the condition of the snow, which is slushy by day and freezes again by night. 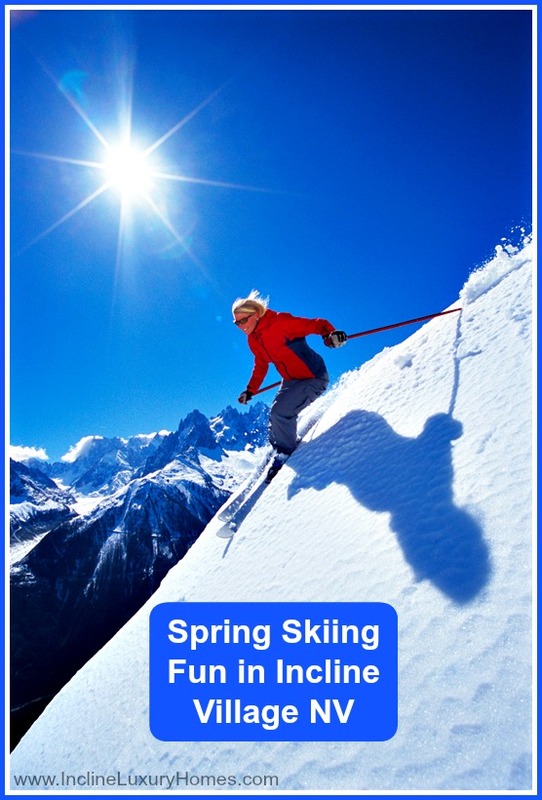 Aside from the perfect weather conditions, spring skiing is also about a full calendar of fun and enjoyment. The hot sun during the day allows guests and residents to enjoy cocktails by the pool located on top of the mountain. It is also a great time to teach skiing to enthusiastic beginners both young and old. The cool afternoons allows families to enjoy the wonderful sunshine. The cold nights enable families and friends to create special memories as they cuddle up and share funny or touching stories in their vacation rental homes or newly bought luxury homes. 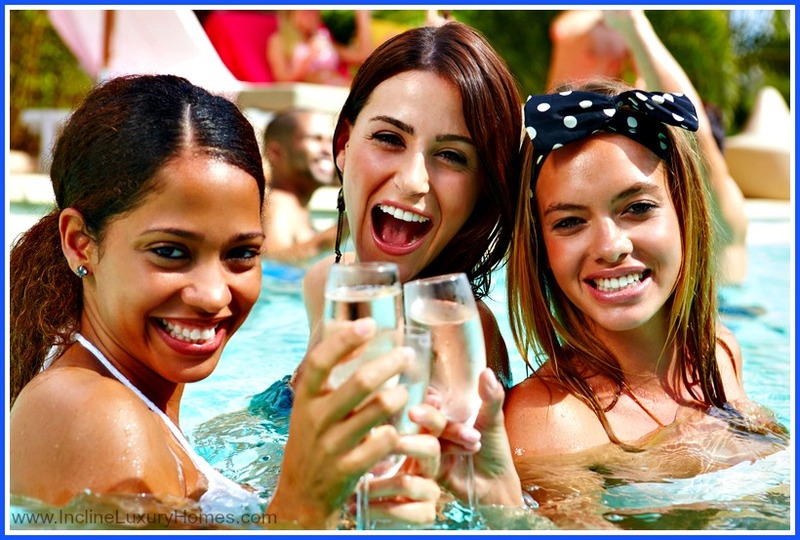 For a different level of bonding and amusement, it is also at this time of the day that resort visitors and guests are in awe of the party atmosphere, dance to the live music, and take part in other exciting events. The awesomeness of Tahoe does not end when a fun day of skiing, swimming, and partying is done. Snuggling is made even better by tranquil nights with breathtaking views from vacation rental homes. Due to the modern design and timeless mountain home feel, two of Tahoe’s magnificent luxury vacation rentals have been labeled as award-winning homes by Tahoe Quarterly in their 13th Annual Mountain Home Awards. This award is given annually to the best of the best homes assessed by experts in home design and building. While there is nothing wrong with renting, it is best to own the perfect Incline Village lakefront real estate in this paradise where there is corn snow, a spectacular view of the lake, healthful and engaging activities, and ideal homes. A life of fun, excitement, festivities, and special moments await future homeowners in this wonderful part of the world. Spring skiing and snowboarding are only a few of the long list of things that can be enjoyed in this part of Lake Tahoe. If you want to know more of what else is happening in Incline Village NV, go to www.InclineLuxuryHomes.com.